Are you ready to transform your English skills? This learning workbook isn’t the kind of learning you do sitting in class. Nope – it’s set in a thrilling high-tech world where machines can think, adapt and fight! Join Autobot hero Bumblebee on the planet of Cybertron for a crash-course in spelling. 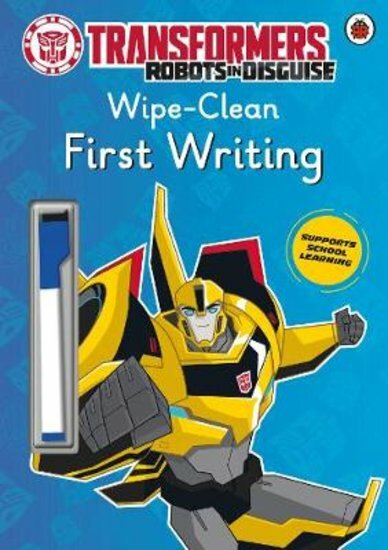 If you make a mistake, just wipe it away. Learn, transform, survive!